Cards by Rita: Happy Birthday, Kathy! Beautiful! 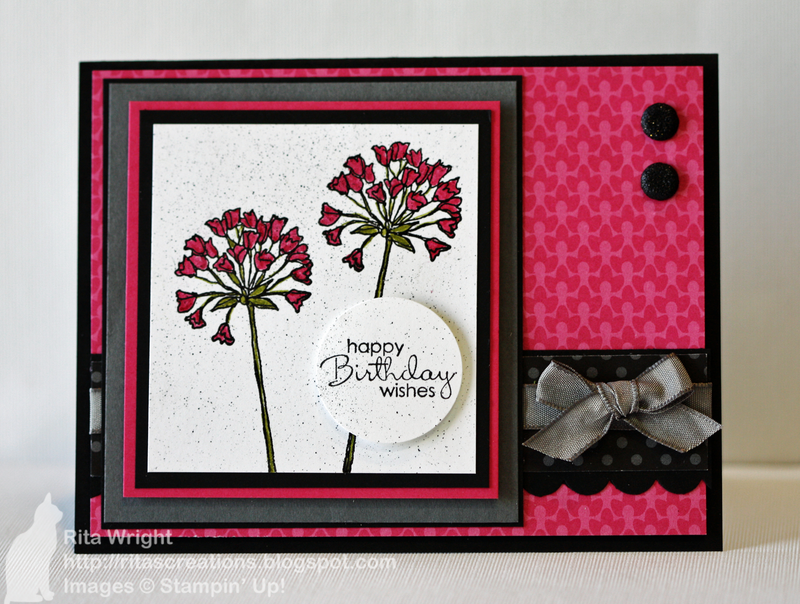 I love the popped up sentiment over the flowers and the colors are gorgeous! This is lovely - great papers, lovely flowers - just fab! Thanks for playing along with CR84FN! Gorgeous, Rita! I love the colors you selected! Wow Rita what a wonderful birthday surprise!!! It's 7:30 in the morning here and you've timed it perfectly. It's absolutely stunning. I love the colours, the flowers, the bow, the bling, it's a truly beautiful card. We are going to the botanical gardens today to look at all the gorgeous tulips and daffodils that are just now starting to come out and tonight I will definitely eat some birthday cake for you. It will be chocolate! Love this color scheme - very pretty! Beautiful card. Love the combination of layers. Thanks for joining us at CR84FN. What pretty DPs Rita and I love these sweet little blooms! Beautiful birthday card! Thanks for joining us at CR84FN! just beautiful!! love the bright vivid flowers!